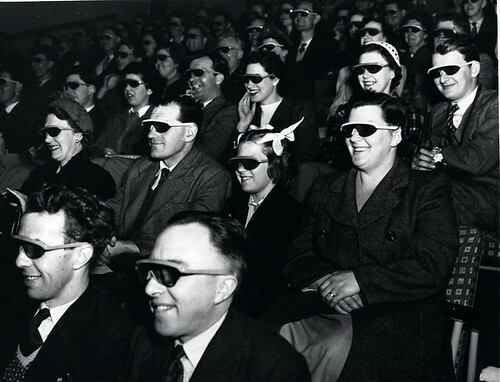 3D movies have been impressing us and making some of us feel a bit queasy since the 1950s. 3D movie mania seem to skip a generation – we’re now in the middle of a saturated age similar to the last big boom in the 1980s. Here’s our pick of the three most must-see movies ever rendered in 3D. James Cameron developed his 3D technology for over a decade before he made the barnstorming ‘Avatar’. The 2003 documentary ‘Ghosts of the Abyss’ was a taste of what was to come, but Avatar certainly didn’t disappoint cinema goers and became the most financially successful movie of all time. Avatar won hearts with its impressive landscape and fight scenes – perhaps setting the bar high for all new generation 3D movies to come. The adventures of an awkward teenage boy named Hiccup and his unlikely friendship with a dragon named Toothless were a huge critical and box office success in 2010. An unusually thoughtful and tender piece of storytelling from the Dreamworks studio, this movie surprised critics with its charm and nuance. The story itself is fairly archetypical – boy befriends a dragon hunted by his village – but it is told with enough subtlety and interesting tricks to keep even older viewers interested. With his movie, Dreamworks presented itself as a serious challenger to Pixar’s throne as the studio for cutting edge animated blockbusters. This creepy flick is part of 3D’s first golden age in the 1950s. The action takes place in the deepest, darkest corners of the Amazon where a group of fossil hunters seem to have disturbed something more sinister than just a bunch of old fish bones. These meddlesome scientists argue amongst themselves – will they take the creature from the deep back to the US dead or alive? All the while, the creature seems to have sinister plans of its own. Pick this up on DVD, turn on your 3D TV and don your 3D glasses for a vintage scare! Well, no list is going to be perfect and we know that there are many more beloved 3D movies. Tell us about your 3D movie favourites, and which cinematic elements you think work particularly well in 3D. Is it a breathtaking landscape, or spears and swords coming off the screen during an epic battle?